Have you have been bereaved and would like help and support as you process your grief? Then pop along to our FREE monthly Bereavement Support Group. Our beautiful setting in mid Cornwall has free parking, some lovely rural walks and a community cafe too. The group is attended by many others who are or have been in your situation. 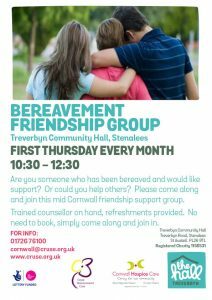 A trained counsellor from Cruse Bereavement Care will also be on hand if you need some one to one support in a more private setting. 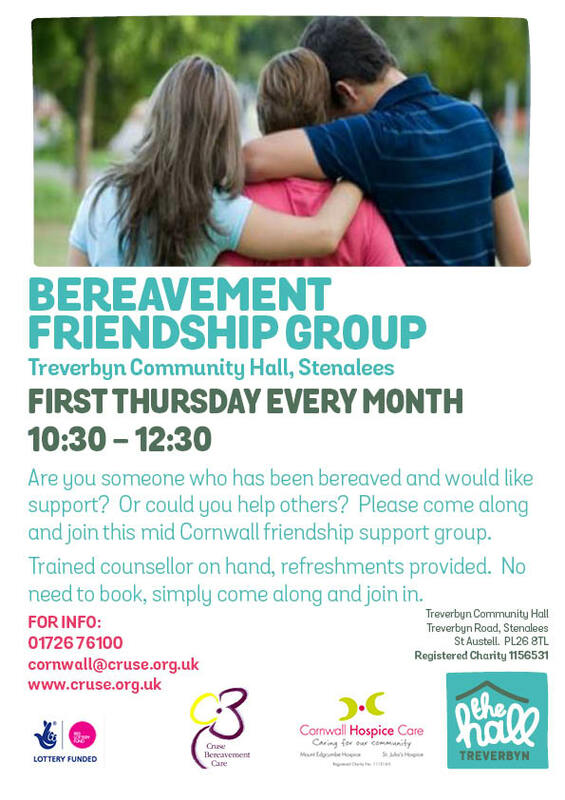 This is a FREE bereavement support group and refreshments are provided. There is no need to book so just turn up and please do bring a friend if that helps. First Thursday of every month from 10:30am -12:30pm.